Look what arrived for me this week! The postman is already one of my good friends, but this may well have elevated him to BFF status. It went straight into my project bag, and to the top of the project queue. This last Saturday was King’s Day here in the Netherlands. The first King’s Day ever I think. We haven’t had a king here since the end of the 1800s, but for the longest time we’ve always celebrated Queen’s Day with fabulous national holiday and one of the biggest parties on the entire planet. My favourite part of King’s Day is the free market. Everybody pours out onto the streets and sets up their own little stall, selling all their old stuff. It usually starts the night before, with the really serious sellers and buyers camping out over night to get the best bargains and make the biggest profits. Most of it is junk though. We come across the same woman selling the same Disney videos (that’s right, videos) every year, so she’s obviously not in it for the money! Originally this case housed massage machine from an era long past, but was only interested in the packaging. 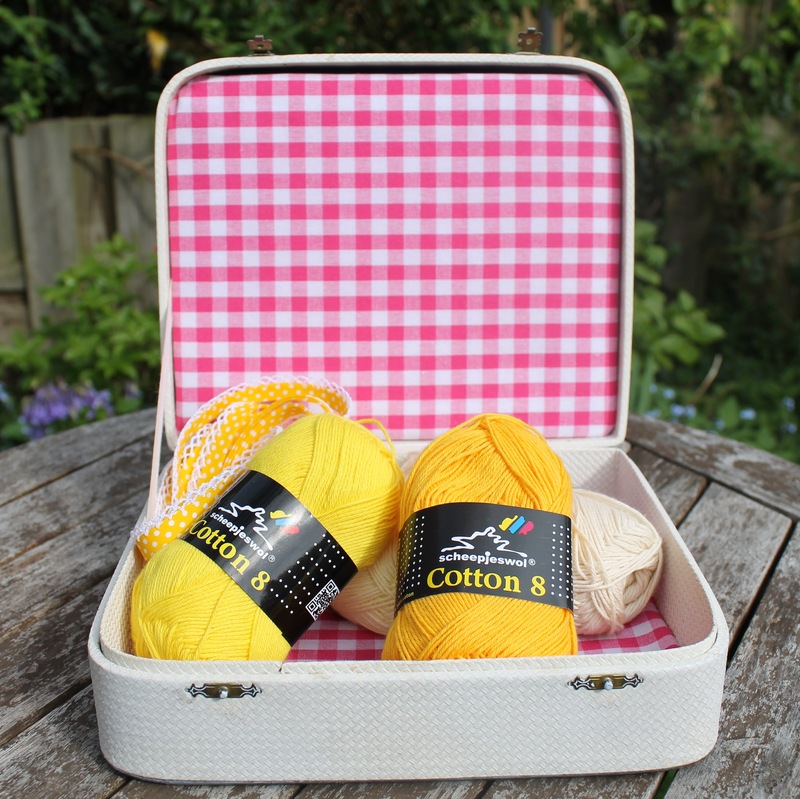 A quick spray with some paint and gingham lining and I have myself the cutest little project case in the world! Scheepjeswol Cotton 8 is a yarn that I haven’t had the chance to work with yet, but I know for sure that it will be a perfect fit for me. Its vibrant colours are perfect for summer and it’s so, so soft. 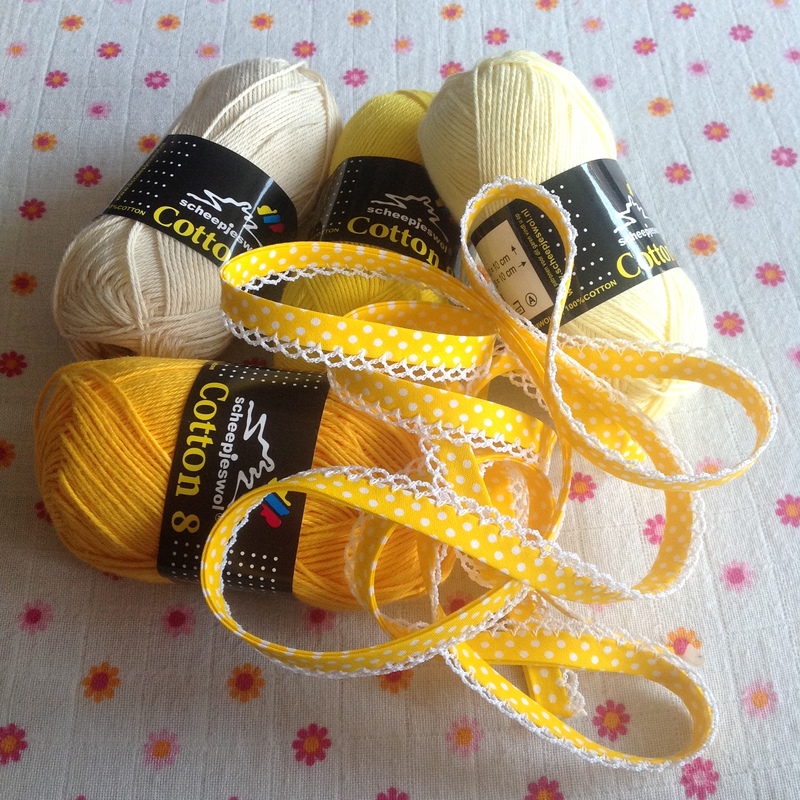 It will be brilliant for amigurumi. But that’s not the destiny of this batch. Instead I have another project in mind. Something beautiful for warm summer days. 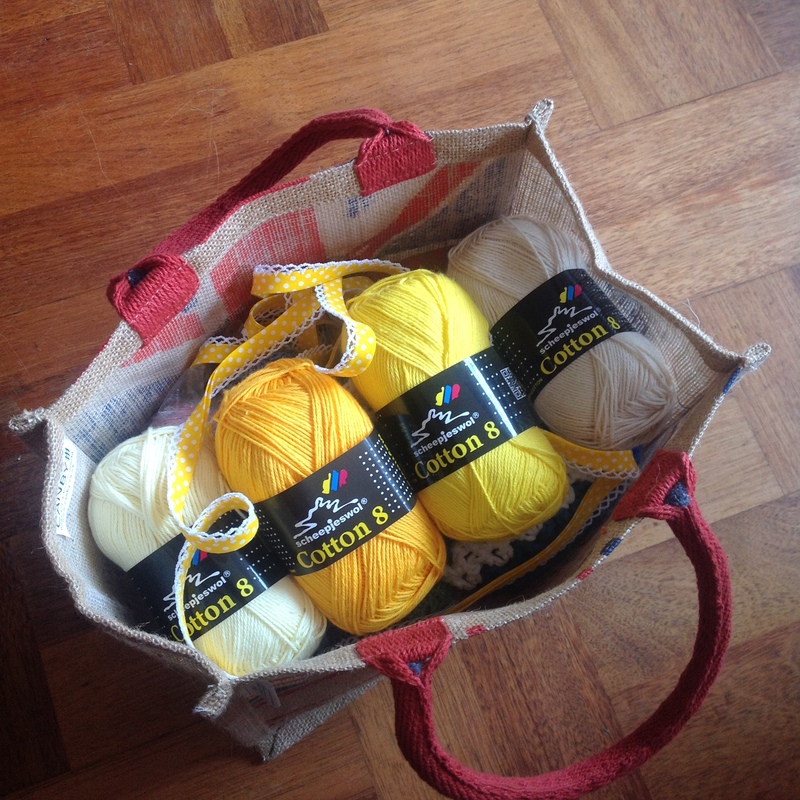 Stay tuned and there’ll be a pattern in it for you…. This entry was posted in Projects, Scheepjeswol, Yarn and tagged cotton, cotton 8, craft, crochet, crochet pattern, free pattern, haken, handmade, MissNeriss, Obsessed with Crochet, projects, scheepjes, scheepjeswol, summer, yarn. Bookmark the permalink. I love working with Scheepjeswol cotton, it’s slightly thinner than Catania and I like the fact that it’s not that shiny. I’m excited to see what project you make with it!